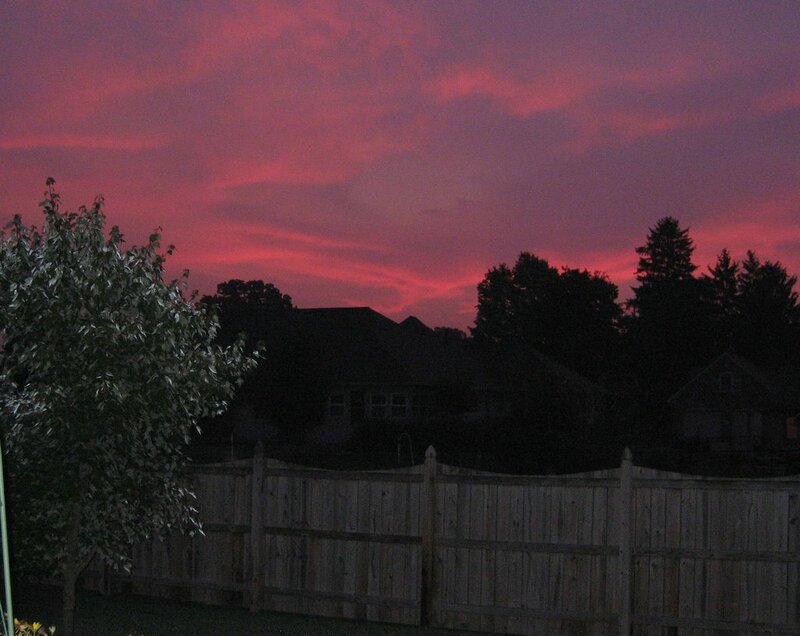 Red sky at night, sailors delight." The sky this morning was red, a foreboding of the rain we had later on. We've been fortunate ALL summer to get rain when we needed it. 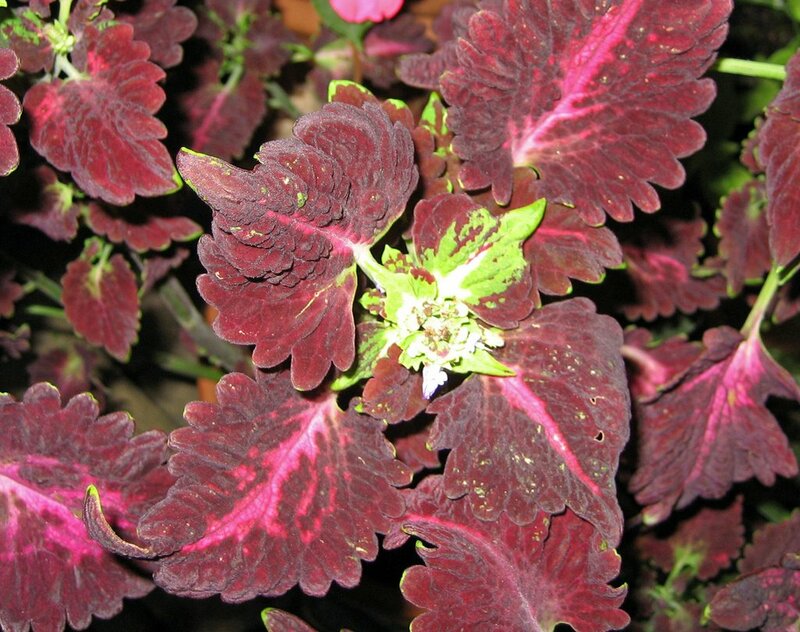 You can never go wrong with a few containers of coleus, can you? Hope you enjoyed this look at red in the garden. Thanks for stopping by Henbogle to admire theblackberries. It has been an amazing year for berries, they are incredibly abundant and just as sweet as can be. You have a nice blog, and a lovely vegetable garden! Your garden looks a bit advanced of mine -- I've had cherry tomatoes, but no "big" tomatoes as of yet, soon though. We are zone 5, but I have pretty heavy soil which is slow to warm up, and this spring was very wet, which slowed things down. Stop by again, I will visit your blog again as well -- I have a soft spot for Hoosiers, I have adopted family in Kokomo. This red heaven is realy wonderful. We have orange one. I love red ... whether it's in the sky or the leaves and flowers. Beautiful pictures! We have that little rhyme in the UK too, but about shepherds rather than sailors! (Not that we have many shepherds left in these days of mega-scale agribusiness.) Still, I guess the weather is important whether you're a shepherd or a sailor or a gardener. 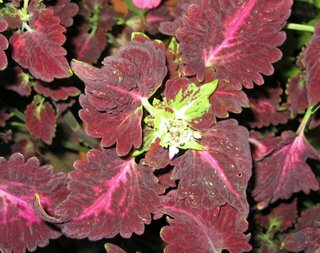 Love the coleus! I planted my first container of coleus this year. It's pink, a great contrast to my gray cobble porch and sidewalk. someone beat me to it.Red sky at night shepherds delight, red sky in morning shepherds warning.I still remember that rhyme at sunset or sunrise.Love coleus, they are like a paintbox plant.